The Fourth Industrial Revolution is in the Philippines and Tech Startups are in the forefront in the foreseeable future. That is the reason why the Department of Information and Communications Technology (DICT) and Impact Hub Manila are collaborating to further enhance the establishment and growth of Philippine tech startups. Acknowledging that the next wave of economic growth will be driven by tech startups, the Elevate National Roadshow project is being kickstarted by the DICT and Impact Hub Manila with the aim of building awareness and empowering startups that will considerably enable them to bring their innovations and ideas to reality. “We want to learn about their ideas, the challenges they face, and the types of assistance that they need. 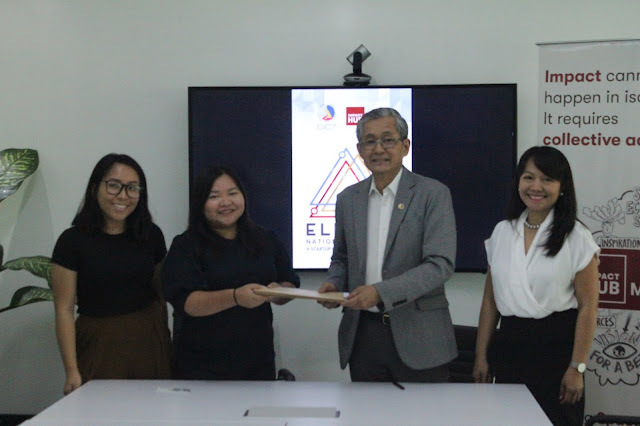 This will help us find areas where we can engage them as we build a startup ecosystem that supports ICT entrepreneurship and innovation,” stated DigitalPH Program Manager Ms. Emmy Lou V. Delfin, during the Memorandum of Agreement signing between DICT and Impact Hub Manila represented by Undersecretary Monchito B. Ibrahim and Impact Hub Manila Co-Founder & CEO Celesto Eden Rondario last August 28, 2018. Since it is a multi-city project it will also a chance to interact with existing and potential startups I those cities that are participating and also provide an opportunity to advance the expansion of the country’s digital startup pipeline. “We are excited to partner with DICT as we go beyond Manila and meet entrepreneurs throughout the country.” “We are committed to bringing the startup ecosystem to the next level, and helping entrepreneurs start, and scale their startups,” Rondario also stated. Five cities are scheduled for the roadshow this August with Clark in Angeles City, Pampanga as its initial stop. This will include mentoring sessions and discussions with local startups. The roadshow will then proceed to Baguio, Iloilo, Dumaguete, and Cagayan de Oro for this year. Each stop in a participating city is a two-day event that will feature town hall meetings, learning lab workshops and Scaling.